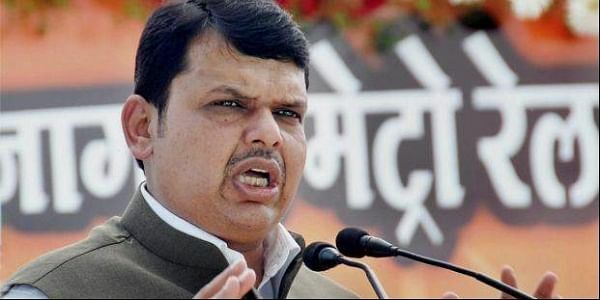 A 35-year-old unemployed man today ran towards Maharashtra Chief Minister Devendra Fadnavis at an event with a job application in hand but was intercepted midway and detained by the police. MUMBAI: A 35-year-old unemployed man today ran towards Maharashtra Chief Minister Devendra Fadnavis at an event with a job application in hand but was intercepted midway and detained by the police. The incident took place at Ralegan Siddhi in Ahmednagar district, around 240 km from here, where Fadnavis had gone to take part in a couple of programmes, the police said. The man was identified as Prashant Mahadeo Kanade, a resident of Mehkari village in Ahmednagar district. He is also said to be "differently abled", they said. Kanade had come to attend a rally of sarpanches, where the chief minister was also present. When Fadnavis was on the stage, all of a sudden Kanade stood up and started running towards him, an official said. Security officials and local policemen swung into action and started running after him. They caught the man, who had an application for a government job in his hand, before he could reach the dais, the official said. Kanade was detained and interrogated during which he said he was trying to give his job application to the chief minister, Hanumantrao Gade, senior inspector of Parner Police Station said. Kanade was seeking a bank job. Earlier, he had gone to Mantralaya (state secretariat) four to five times to submit the job application but did not got any positive response, Gade said. The interrogation revealed that the man, who is Class 12th pass out, had no intention to harm anyone, he said, adding, Kanade will be allowed to go home after the inquiry. "We have called his parents and relatives to take him home," he said.